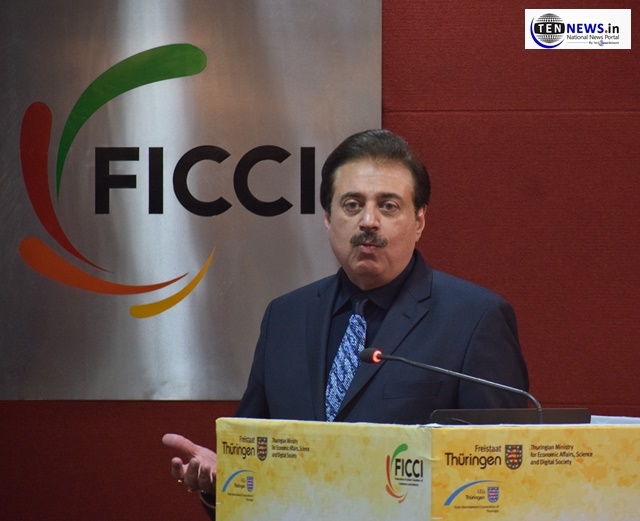 New Delhi: Federation of Indian Chambers of Commerce and Industry (FICCI), an association of business organisations in India organised a Business Interaction session with Germany at FICCI in New Delhi. The two countries came together to strengthen the business bonds. The Business Interaction was joined Parminder Singh Malaria from Wipro, Dr Ambassador of Germany in India, Jasper Wieck, Germany’s Minster of Economic Affairs, Science and Digital Society of Thrungia, Wolfgang Tiefensee, Senior FICCI executive committee member and Chairman & MD, RRB Energy Limited. The business event began with the screening of short film on business prospects in Thuringia and a shirt introduction by the Thuringian Companies. During the Business Interaction, exchange of agreement between Thuringian manufacturer Gramme-Revit & Indian Distributor WB for new food supplements against Arthritis “DuoVital”. Rakesh Bakshi presented green certificate to the foreign dignitaries.